A suspected case of arson at a funeral home with reported ties to a major organized crime family in Montreal is being investigated by police. Police spokesman Raphael Bergeron said today the fire caused relatively minor damage to the parlour in the Saint-Leonard borough in the north of the city. He says traces of accelerant were found at the scene of the fire, which began at about 5:20 a.m. 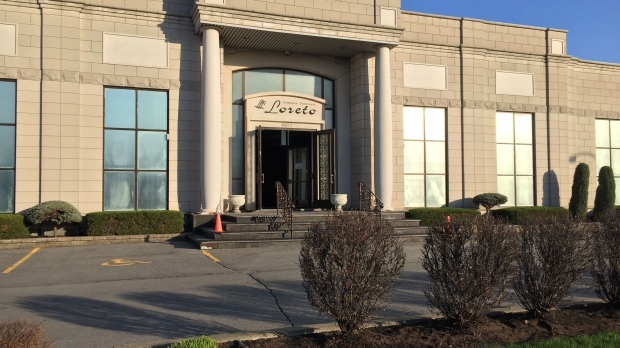 The Loreto funeral parlour is reportedly tied to the Rizzuto crime family. Reputed Mafia leader Vito Rizzuto's funeral services were held in that complex in 2013. Three men were charged after the funeral home was hit with arson in 2011.